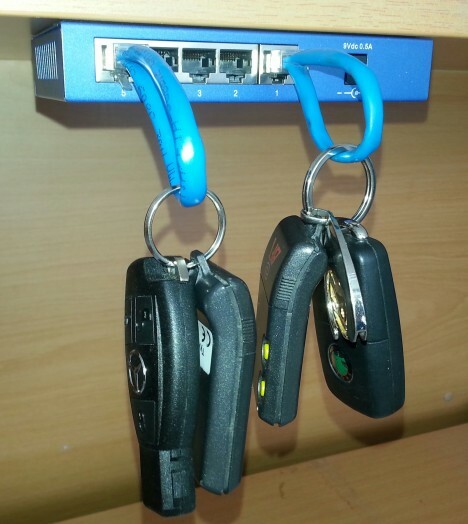 In an informal and spontaneous contest to see who could share the geekiest key holder from their office or coworking space, a series of Redditors (on /r/geek) submitted a great series of photos featuring clever (and useful) key storage systems – you can ignore the vote count, though, and pick your own favorite, as each has features to recommend it (though a few may have bugs as well). 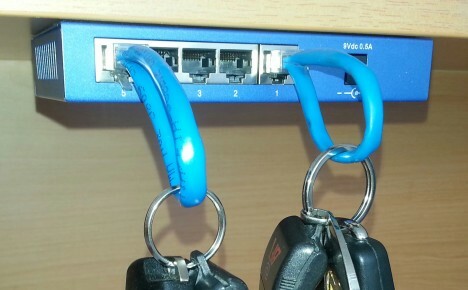 First and by far the most popular, the top-voted design features ethernet cables looped and plugged into a 5-slot box. While more of an aesthetically-inspired setup and not technically active as such, commenters suggested modding the device to register which keys are in place at any given time (via zedpee, who was ‘gilded (given Reddit Gold) for his efforts). 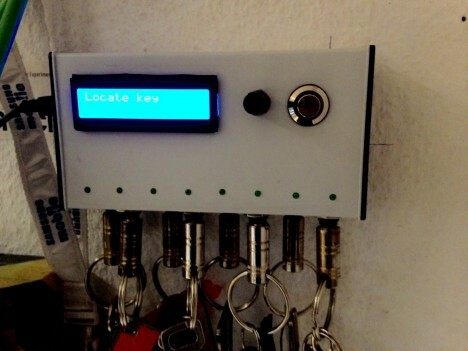 The Keyboard 2.0, meanwhile, actually works not only to tell you whether keys are plugged in but also has a locator system that lets you find your keys when you misplace them around the office – its plug-and-play interface also looks somewhat more robus, using traditional snap-in key ring connectors rather than breakable plastic (via h0uz3_). 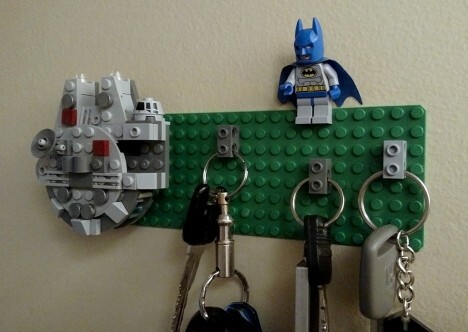 Finally, no geek collection would be complete without something using LEGO, perhaps referencing Star Wars and/or including a comic book superhero, so this last submission conveniently does all three, with detachable blocks that let you snap in your key chain easily and without requiring much extra pocket space (via Spaz_Chicken). See more in Do It Yourself or under Technology. October, 2015.